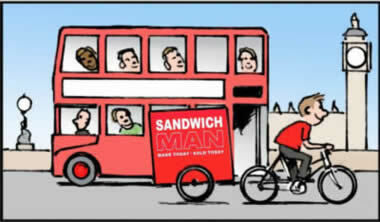 ﻿ The Sandwich Man, Because London wants to Lunch! 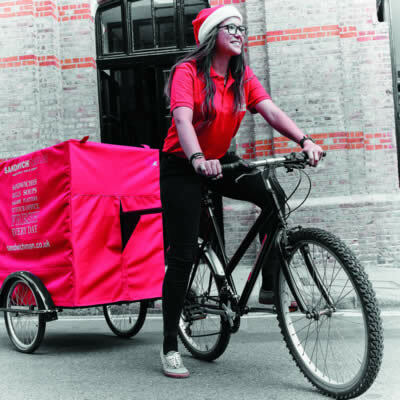 SandwichMan has been established for over 20 years and has become a trusted daily visitor to over 1000 offices throughout London. 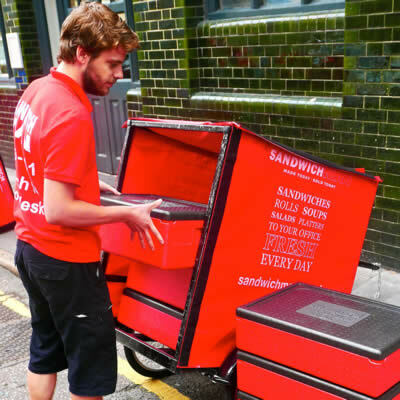 SandwichMan is London's leading "Lunch to your Desk" service. 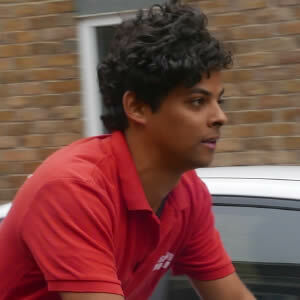 We then hit the roads and visit our loyal customers everyday, come rain or shine! Visiting our customers with our 'cool' selection so that you can enjoy your LUNCH! Charlotte and the team at Cox and Kings!! 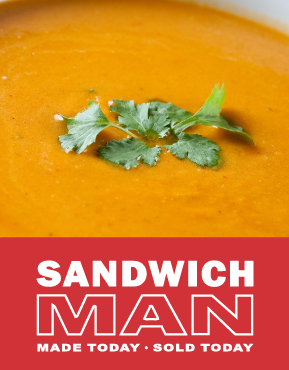 A BIG thank you to everyone who participated and made #sandwichman500 fun and successful! We are grateful for your efforts and hope you enjoyed it as much as we did. 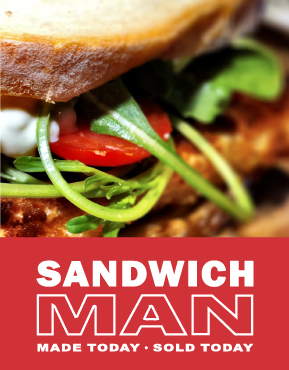 If you missed out on the prize, there WILL be another chance to win with SandwichMan soon! We are now welcoming ideas for our next competition!! If you would like to make suggestions, please get in touch. Holding a meeting, training course, or catering for clients? 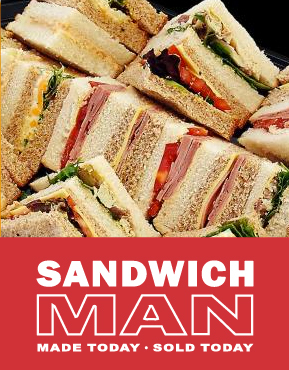 SandwichMan can deliver fresh, easy to serve working lunch platters that happen to be delicious too! 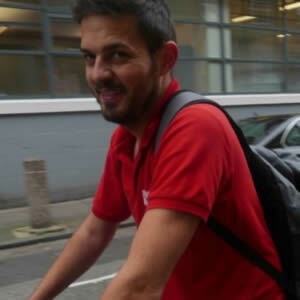 Our business is fully reliant on pedal power. 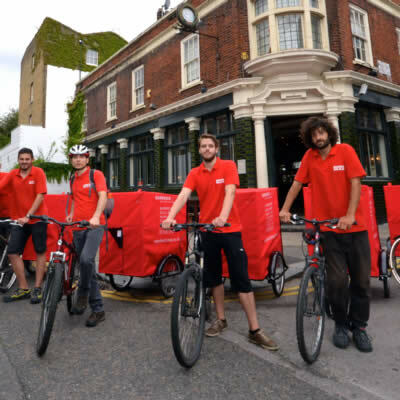 We run a fleet of 120 bicycles that are also used for running errands and attending meetings. 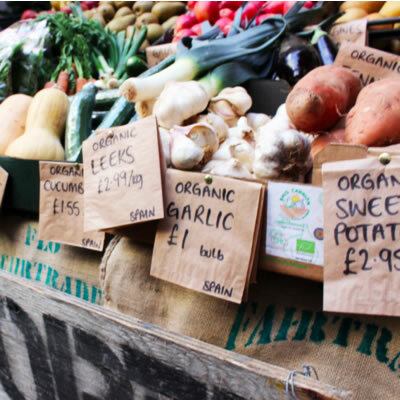 We believe in working with our neighbours and use local bakers, green grocers and butchers, where possible, for our ingredients. 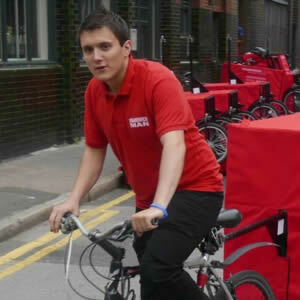 All out suppliers are within a 4 mile radius of our kitchens. We work with local charities for redistributing our unsold items each day. 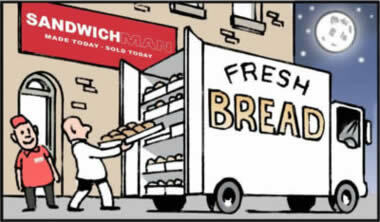 We hire our team from the local area and all our sandwiches are made by hand - no machines - therefore keeping people in work. 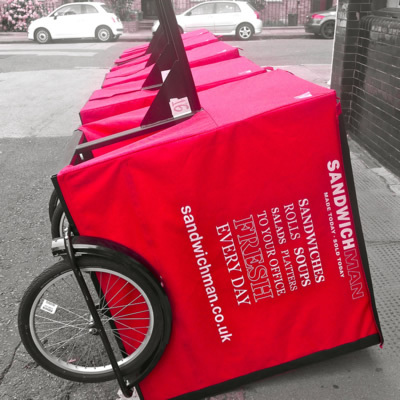 SandwichMan is zero waste to landfill. 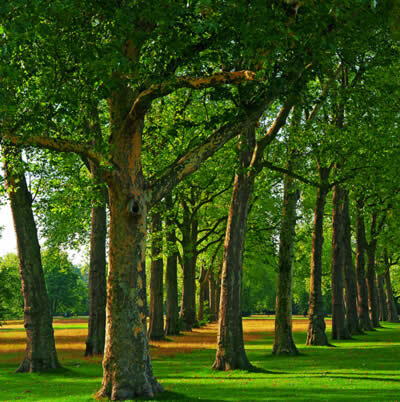 We keep our waste to a minimum and use biodegradeable or recycled packaging where possible. We recycle rain water to wash our vehicles and keep our bikes clean. We need more rain!! 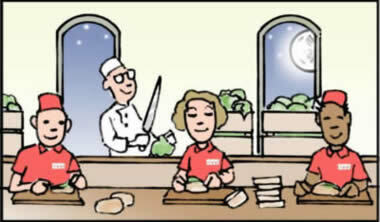 SandwichMan proudly participates in the "Food Save Project." 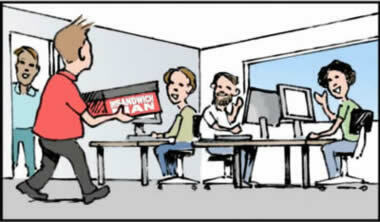 SandwichMan is a member of the "Zero Emmissions Network." Salsa Dancing and learning new languages, at the same time! Swimming, dancing, partying and having good times. so much to do and see it sends your average Kiwi crazy! Loves football - Go Real Madrid! 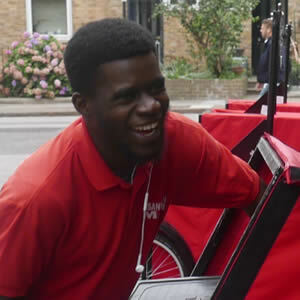 If you are self motivated, fit and want to work for yourself you might have what it takes to become a SandwichMan or Woman! 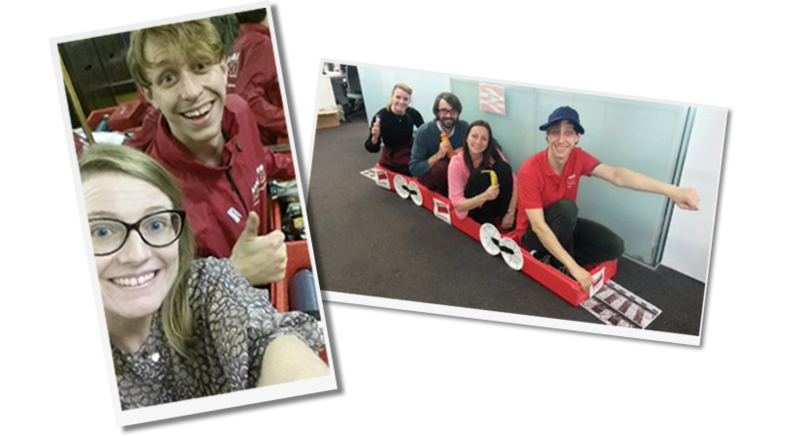 We give you lots of support and training and help you develop a successful round. All we ask is that you listen to the advice we give and do your best. 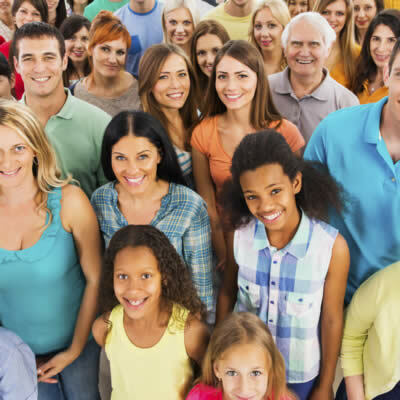 Great Sandwich-people come in all ages and shapes and sizes, personality is EVERYTHING! Our team are always available to take your call. Please feel free to call us any time on 020 7833 9001. Alternatively, please complete the form below to get in touch with us. 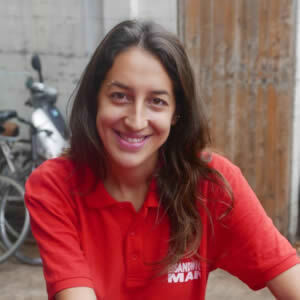 One of our team will aim to respond to you within the next two working days. 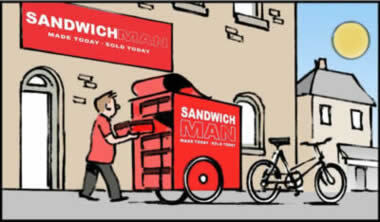 We can arrange a no-obligation visit with your local Sandwichman. If you are looking for something a little more varied for your catered meetings, conferences, training courses etc, look no further than Sands Catering & Events who are part of our family. Wow your colleagues, friends & family with one of our beautiful & delicious hand crafted cakes, desserts and wonderful ideas baked to order. © SandwichMan 2017. All rights reserved.